There are quite a few benefits to working from home but for Bryce Lefebvre, the commute is his biggest win. 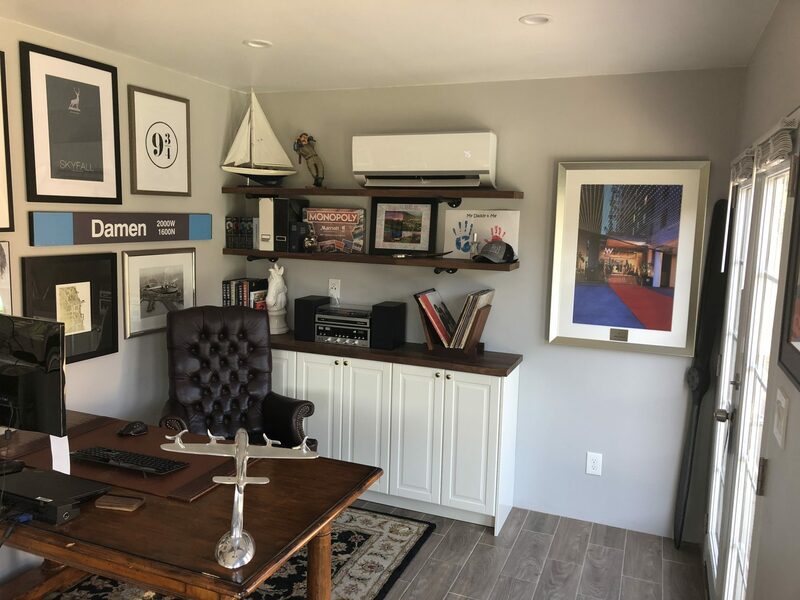 His new home office serves as a great solution for a very unique situation. Bryce and his wife both work from home to help care for their two disabled children with the assistance of care workers. “The office has been amazing,” says Bryce. Previously, he was working from the kitchen table, right in the middle of the action in his home. In order to separate his personal life from his work life, Bryce knew he needed an office. He looked into several options, including renting a co-working space and moving a shipping container in the backyard. “For six months of rent at a co-working space, I could pay for a shed in full. And finishing out a shipping container was way out of budget,” notes Bryce. After comparing builders, Bryce turned to Tuff Shed. 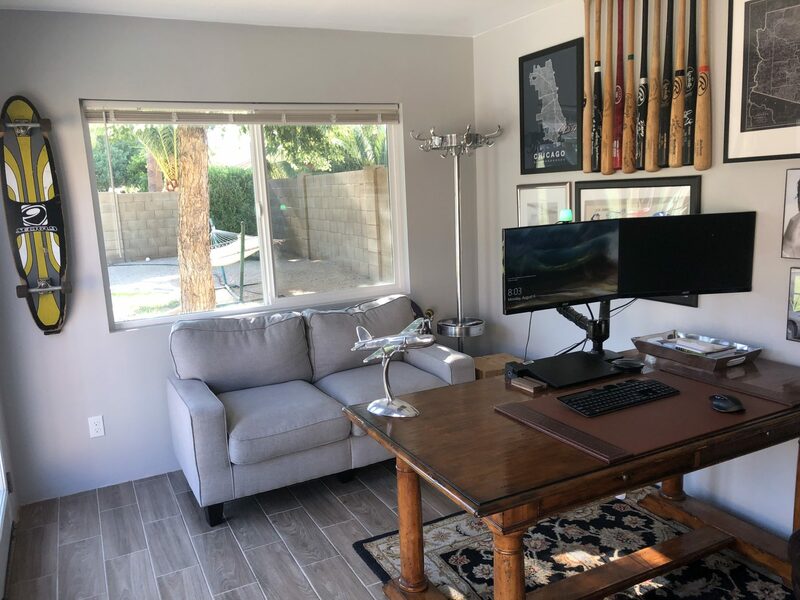 He put our Phoenix team to the test, with questions about customizing the design of his building. 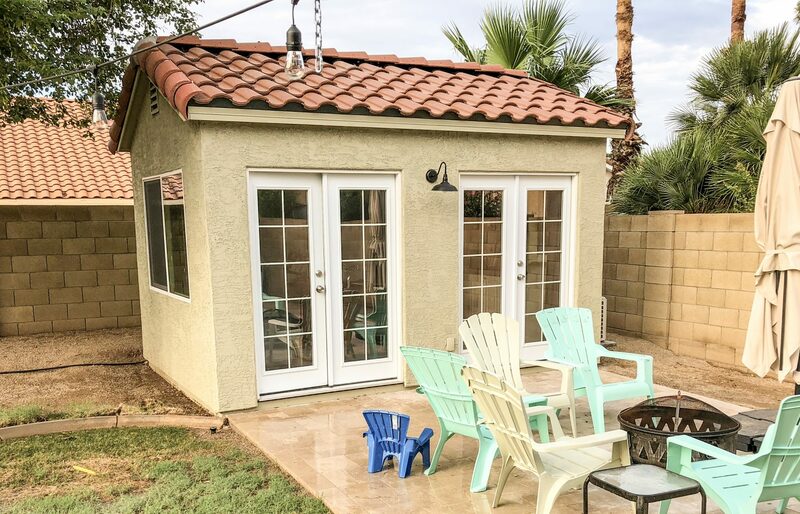 “I felt like a really needy customer with all my questions about adding more natural light and using stucco and tile for the roof. 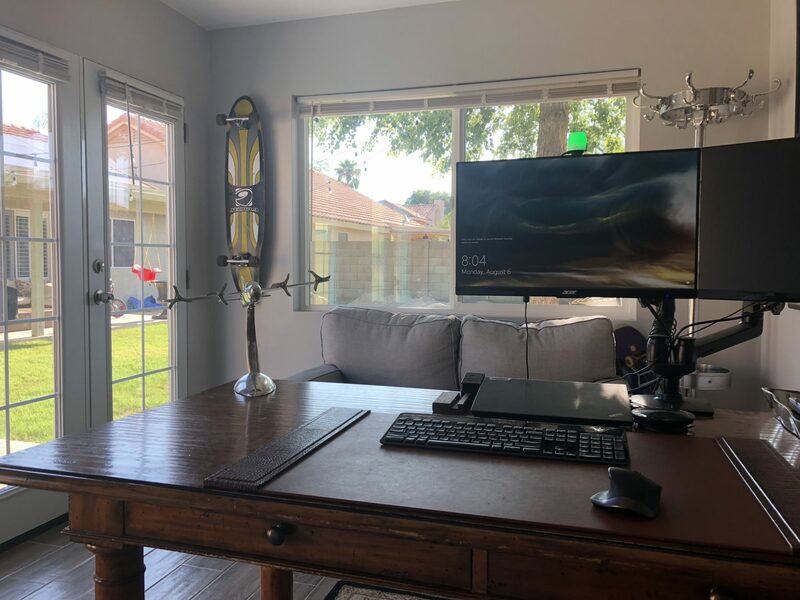 But the team was great, they always got back to me quickly and were able to find solutions to all my questions.” In the end, Bryce decided on a 10×14 Premier PRO Tall Ranch, customized with everything he wanted.